James Cameron has proven himself not only to be a master of film but innovative technology to enhance storytelling as well. A cyborg, identical to the one who failed to kill Sarah Connor, must now protect her teenage son, John Connor, from a more advanced cyborg. 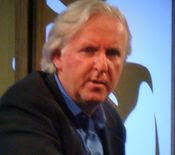 James Cameron, William Wisher Jr.
Fusion Camera System that Cameron and DOP Vince Pace developed together under the Cameron-Pace Group banner. You may not be familiar with the system but some of the most advanced 3D feature films including; Life of Pi, Hugo, Transformers: Dark of the Moon, TRON: Legacy, Speed Racer were shot with the Cameron's camera system. They are currently working out how to bring glassless 3D to cinemas, a while back they teamed with Dolby & Philips on glassless 3D TVs and I'm pretty sure I saw one of these back in 2013 at the London Dolby Atmos Screening Room, so I would be surprised if the technology was too way off in the future. After watching the Berlinale QA session with James Cameron it would appear that glassless 3D cinemas may not be on the table for the near future. Back in 2012 Cameron proved that 3D conversions given sufficient passion, time and money can be stunningly flawless when he re-released Titanic 3D. Terminator 2: Judgment Day 3D will have preview screenings on 29 August and in UK cinemas nationwide from 1 September 2017. Tickets can be booked at www.terminator2-3d.co.uk. We also have a new Terminator 2: Judgment Day 3D trailer below. Terminator 2: Judgment Day 3D had it's world premiere at the 2017 Berlin International Film Festival last week. After the screening the Berlinale hosted a QA session with James Cameron via Facebook to discuss the decisions and process of digitally restoring Terminator 2: Judgment Day 3D, what to expect from the restored version, the single FX change made, as well as the future of 3D and the possible future of the Terminator franchise. 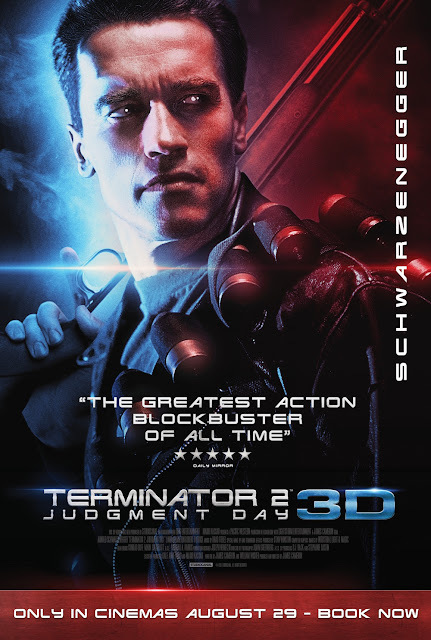 STUDIOCANAL and DMG ENTERTAINMENT are pleased to announce the UK theatrical release date for James Cameron’s TERMINATOR 2: JUDGMENT DAY 3D as AUGUST 25th 1 September 2017. The project was initiated by Lightstorm (lei), James Cameron’s production company, DMG Entertainment and STUDIOCANAL. James Cameron's team oversaw this 3D conversion from start to finish. This highly experienced and award-winning team had already supervised Titanic's 3D conversion and is currently working on the Avatar sequels. The original 35mm negative was scanned and then restored in 4k at Deluxe L.A., under the supervision of Geoff Burdick, Lightstorm. 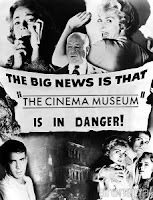 The film was calibrated in 4k by Skip, James Cameron’s colorist, at Technicolor Hollywood, with a selection of the best 35mm prints from the film's first release. The film was then converted into 3D by Stereo D (Star Wars, Avengers: Age of Ultron, Jurassic world). This work lasted almost a year and was monitored daily by Lightstorm's teams, to produce a high-end 3D version at the level of the latest 3D releases from U.S. Studios. The 3D version then benefited from a calibration and a specific finish at Technicolor Hollywood, still under the supervision of Skip and James Cameron himself. London Film & Comic Con attendees’ favourite scene from the iconic masterpiece TERMINATOR 2: JUDGMENT DAY is unveiled! STUDIOCANAL and Showmasters' London Film & Comic Con are pleased to unveil the most loved scene from James Cameron’s epic action/sci-fi masterpiece TERMINATOR 2: JUDGMENT DAY is “Hasta La Vista, Baby”. Conducted at the 2017 Showmasters' London Film & Comic Con from 28-30 July, the 100,000 plus attendees of this must visit weekend event were invited to vote for their favourite scene to celebrate TERMINATOR 2: JUDGMENT DAY’s breath-taking new 3D conversion in UK cinemas on August 29th. Adam Farina, managing director at Fixer International and promotions and partnership director for Showmasters events said: "The fact that Terminator 2: Judgment day will be back in cinemas on 29th of August is every fans dream. To think that we got some of the best of those fans together at London Film & Comic Con and had them remember the film and vote on what scene was their favourite just adds to the joy and excitement of re-experiencing this movie in 4K and 3D! 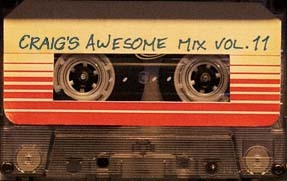 As this is my favourite movie - I know I'm looking forward to it!" Having originally hit British screens in 1991, complete with groundbreaking special effects, this became Arnold Schwarzenegger’s (Total Recall, Predator) most iconic role to date, as well as one of the most quotable scripts of the decade, this brand new 3D version will blast the seminal blockbuster into the 21st century and introduce it to a brand new generation of fans.